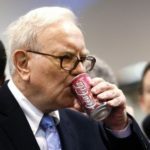 Warren Buffet talks about only investing in things he knows and understands. In his book, One Up on Wall Street, Peter Lynch talks about observing the world around you for investing ideas. I followed this advise recently when I purchased shares of Dominion Energy on February 6th for $73.65/share. I recently opened my monthly electric bill and nearly fell over in shock. Our December bill was the highest we’ve ever had in 2+ years in our house, and after perusing some neighborhood web sites and Facebook groups, it seems we weren’t the only one experiencing high bills. It’s been an incredibly cold winter so far and no doubt our electric heat pump struggles to keep up. If I’m going to be sending all this money to the electric company for service, why not get some of it back? There was definitely a place in the portfolio for a solid utility that yields over 4%, so why not select the one that we send a solid chunk of money to every month? It’s satisfying knowing that when I give them money they’re going to eventually give some of it back to me. That, my friends, is one of the many beauties of investing in dividend paying stocks.